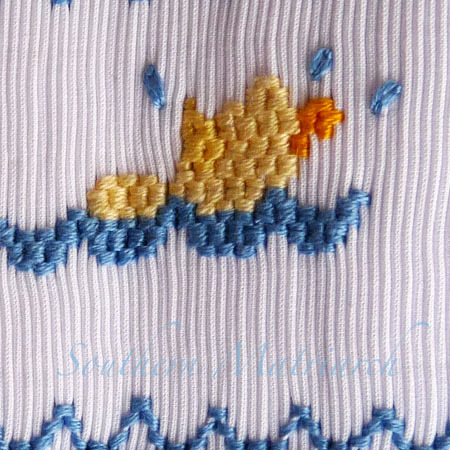 Southern Matriarch: Sweet "Dunkin Duckies"
Do you have patterns or plates that you just knew you would use, only to come upon them almost twenty years later and realize you never did? Well I do, and lots of them! This sweet plate was one of them. I gave a sneak peek of this project here. 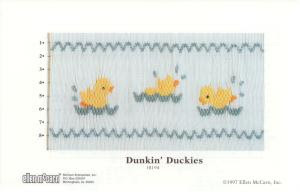 The plate is called Dunkin' Duckies by Ellen McCarn. It is still available from many heirloom retailers. It is a favorite but every time the occasion arose it never seemed quite right. I do love it. 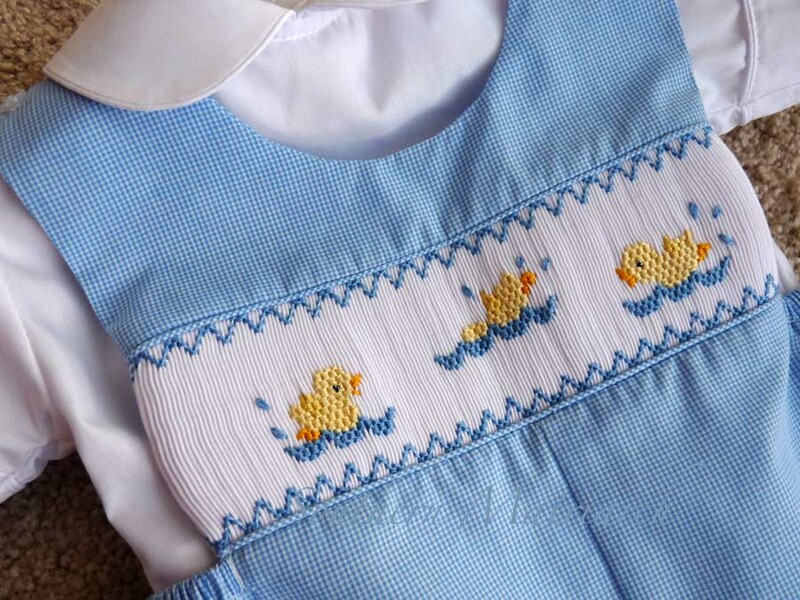 Mommy's favorite part was the ducky bottom in the center. She squealed when she saw that. My favorite part is the water drops. I had been so up to my neck getting Easter outfits across the pond that I wanted something quick yet adorable for our new little peanut. This was the perfect blend. A "Ready to Smock" from Sew Beautiful. They were on sale when I attended the Martha Pullen School in February. There are other "Ready to Smocks" available at local shops and online. Google it! 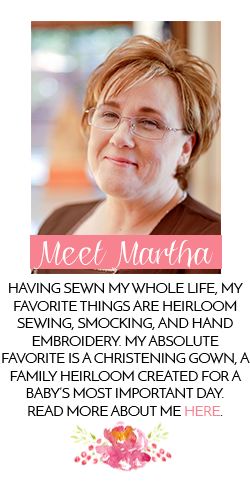 It is a perfect blend of handmade by you and need to be quick. If you want a quick gift, this is the way to go! It didn't take me long to smock this cutie. I found the romper to be well constructed, the shirt is a tad shorter than I expected, but that could be me. We will see how it does once he wears it. I smocked most of this in the car. I need to be better about pre-constructing garments. I always say I will, then I get too anxious for the fun part, the smocking. A sweet duckie paddling his way into your heart! I. think duckies are perfect for little boys...so cute!! This is adorable!! He'll look so sweet :) I've not yet tried smocking anything other than geometric patterns- how hard is it to catch onto? 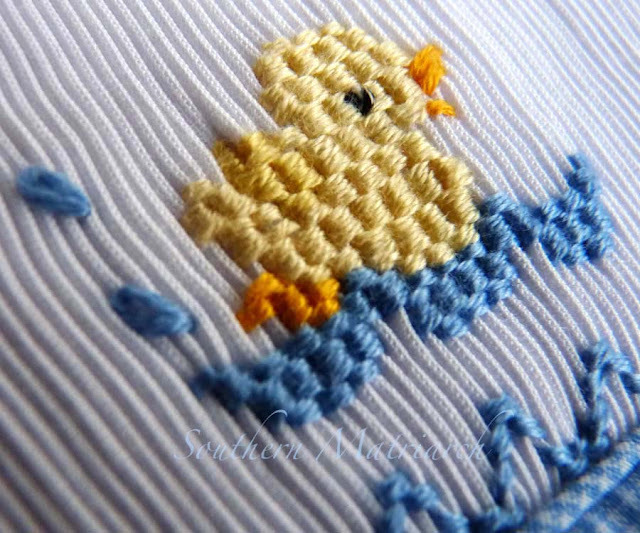 Love the smocked ducklings! I especially like that the center duckling is diving into the water. The yellow with that color blue fabric just pops. Beautiful! 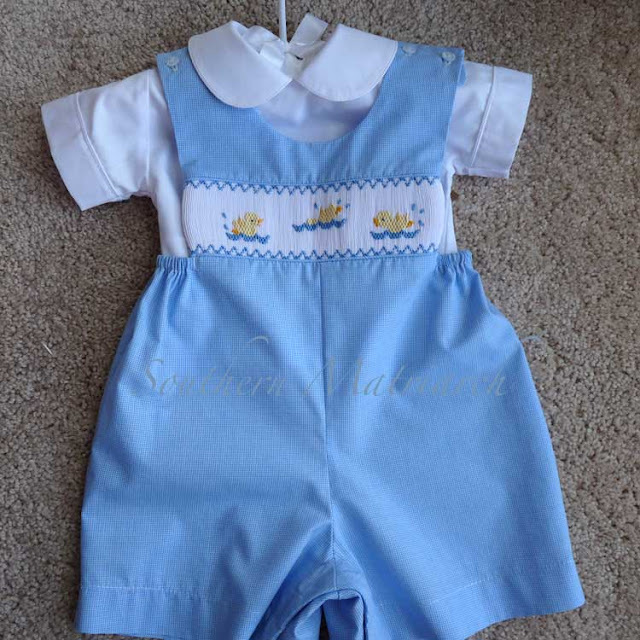 I would love to have the pattern for this romper. Do you know what it is or where it is found?